Raisins are popular because they contribute to good health. However, most people do not know much about raisins, other than the fact that they are small, dark, sweet dried fruit, packed with good nutrients. Lately, other dried foodstuffs have been making waves and threatening to dethrone raisins as the staple dried fruit in healthy diets. Sultanas are gaining popularity as an alternative to raisin that offers similar health benefits. In order to differentiate between raisins and sultanas, it’s important to know what each of them looks like and where they come from. Most people don’t know that raisins come from dried grapes that are white in color. The sweet, dark-colored fruit that these grapes produce are initially green in color, but darken as the fruit dries up. The dried fruit is then harvested, processed, and sold as raisins. Sultanas also come from white dried grapes of the seedless variety. The fruits of these grapes are light yellow in color. They are also smaller, yet juicier and sweeter than raisins. It is not an easy task to harvest sultanas. Some think that as long as one has plants that produce these dried fruits, one will always have a fresh supply of raisins or sultanas. However, this is not the case; harvesting raisins or sultanas is a long and tedious process. First, the grapes are nurtured and installed in a grapevine. Once the grapes become overripe, they are carefully harvested, then air-dried. If the grapes need to be stored for a long time, they are treated with sulfur or bleach. Their stalks are also removed to avoid discoloration and lengthen storage life. In order to prevent raisins or sultanas from bunching together, vegetable oil is applied before they are packaged. When faced with a choice of whether to buy raisins or sultanas, how does one decide? After all, raisins and sultanas offer the same health benefits. However, most people nowadays would choose sultanas because of how they taste; sultanas are known for being exceedingly sweet. In fact, some people claim that the sweetness of sultanas can be on a par with the sweetness of natural honey. The exceeding sweetness of sultanas comes from their high sugar content. With regards to food, sultanas can serve as a substitute to raisin in many dishes. Examples of some food that can be mixed with sultanas include pastries, nut mixes, desserts, and muesli. 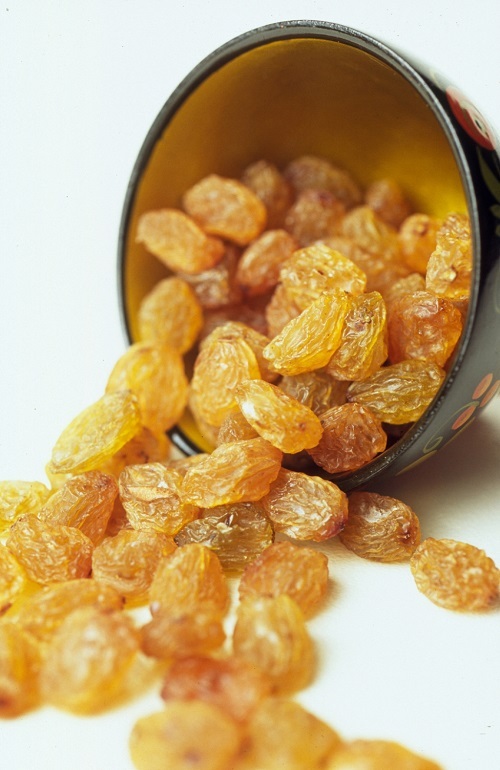 Both raisins and sultanas come primarily from European countries – namely Greece, Cyprus, Spain, and Turkey. Other producers of raisins and sultanas are South Africa, the United States, and Australia. Like raisins, sultanas are greatly hygroscopic, meaning they tend to absorb water vapor. Because of this, both sultanas and raisins need to be dried thoroughly to ensure that mold does not attack the fruit; molded sultanas and raisins should not be eaten. Aside from mold, sultanas and raisins are also susceptible to yeast and fermentation. Both fruits should be kept in controlled environments to ensure freshness and longevity. Sultanas and raisins are both dried fruits that offer health benefits. Sultanas are slowly catching up with raisins as staple dried fruit. Raisins come from grapes that are white in color. The grapes are initially green, but darken once they dry up. Sultanas come from similar grapes, but of a seedless variety. Sultanas are smaller yet taste sweeter than raisins. Sultanas have been compared to honey in terms of sweetness. 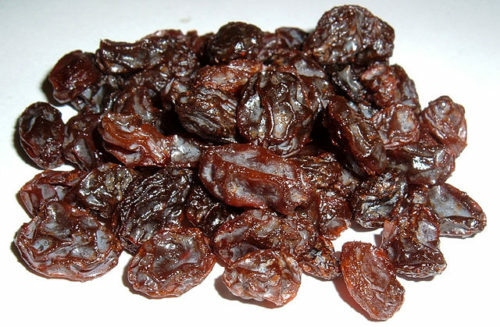 Both raisins and sultanas are hygroscopic – they absorb water vapor easily. Growing, harvesting, and processing raisins and sultanas is a long and delicate process. European countries produce the most raisins and sultanas. Celine. "Difference Between Raisins and Sultanas." DifferenceBetween.net. May 22, 2017 < http://www.differencebetween.net/object/comparisons-of-food-items/difference-between-raisins-and-sultanas/ >.